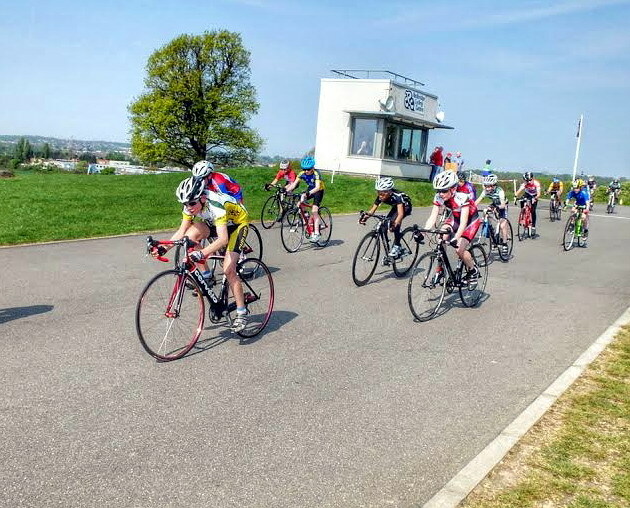 ALAN ROSNER MEMORIAL RACE: Those of you who are parents/coaches of youth road racers know the highs and the lows of what these kids go through in order to hang in at the sharp end of a tough sport. 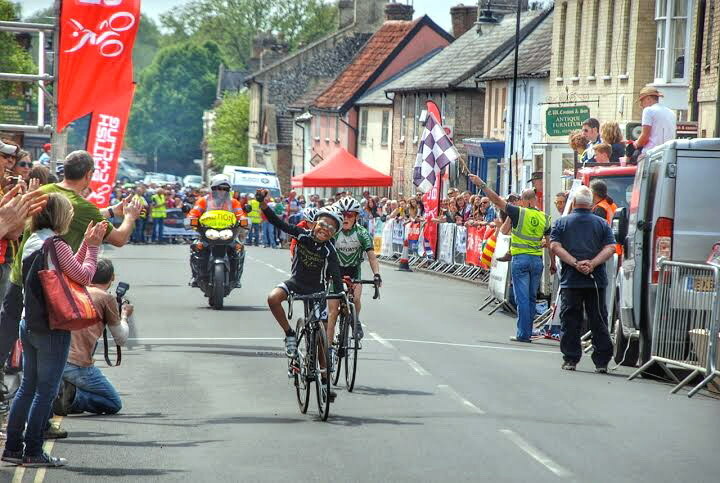 One good race can wipe the board clean and it was a couple of these that has had CJ feeling good about his chosen field… Anyway, it’s not the position that counts, but the work put in and a battle on the bell that resembles the stuff of the pro’s that gets remembered. 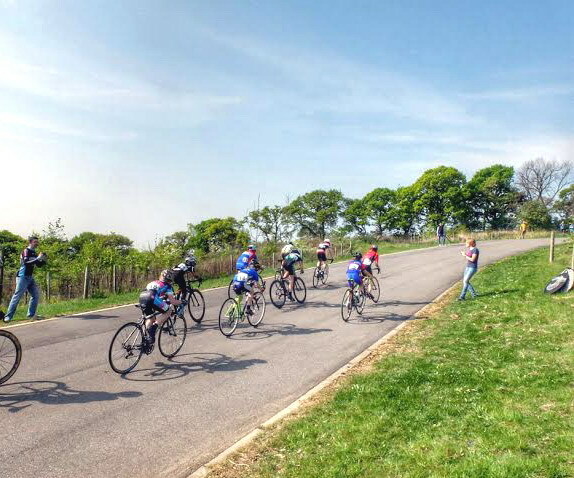 Anyway, first up it was the anniversary of the Alan Rosner Memorial Meeting where last year he’d taken a third as a rookie in the under 10’s category, but this year he wanted to punch above his weight and move up to under 12’s with the big dogs as prep’ for next year when he moves to the class. Also, he wanted to get in the mix again with his elder adversaries from the class of 2013. 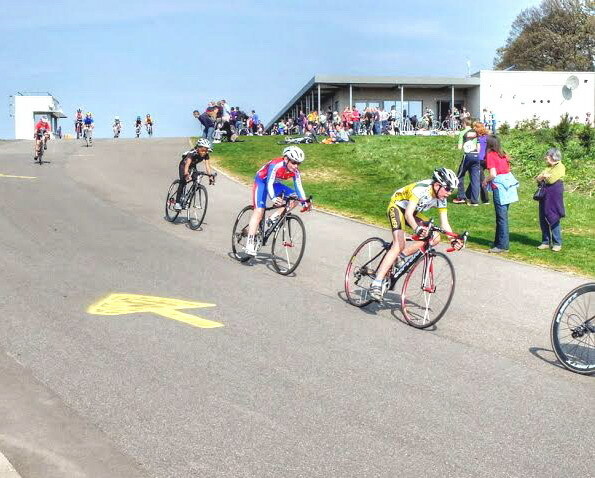 After making a request to the organisers he was granted his wish to race up a category, but we were soon informed that the field was strong and would be run full circuit as against the under 10’s with only the hill climb on the last lap to contend with… Anyway, the die was cast so in the five lap war of approx’ 40 racers he would have to race with his head and legs as it was going to be a massive step up with CJ still restricted to under 10 gears, basically he was losing at least half a metre every crank turn so would have to spin a fast cadence just to survive, especially after the descents where they could wind on the power longer and earlier. 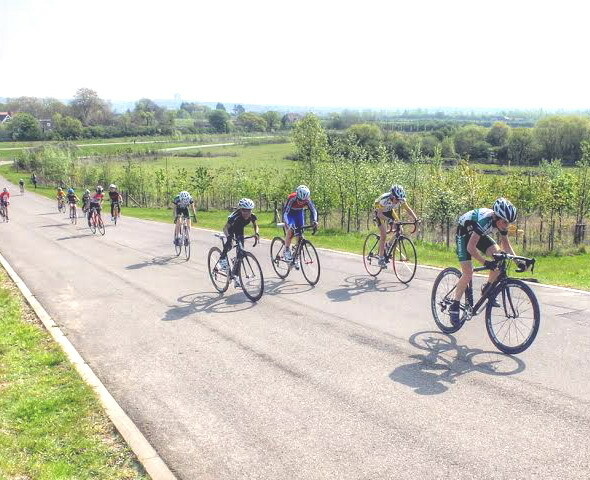 From the drop the pace was intense and the pack was soon down to about half the field as the likes of Aaron Freeman (Chelmer CC) and William Davies (Welwyn Wheelers CC) pushed the pace along with Harrison Powell (Lee Valley Youth CC) who launched some strong attacks. 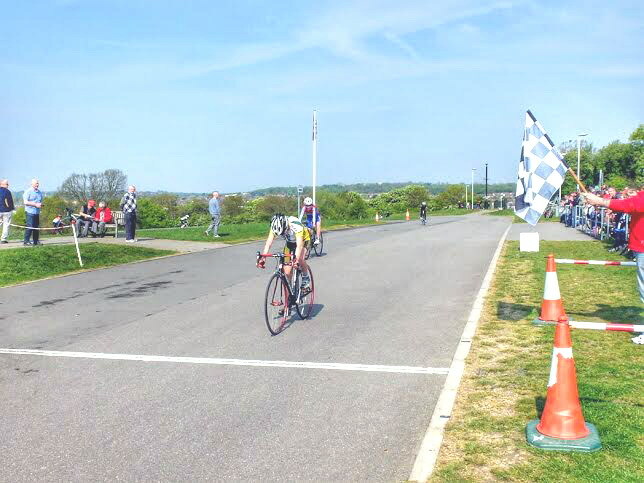 Also, there was a mystery rider from Solihull CC running comfortably up front who had made the journey down the M1 to do battle and probably test the circuit before the upcoming Nationals to be run in July. 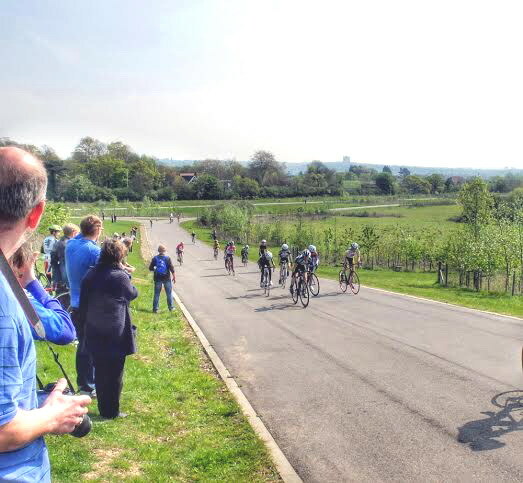 By lap three the front runners were down to approximately ten including all the aforementioned until a strong attack was launched by the Welwyn rider that split the lead group with CJ making the jump along with Chelmer and Solihull for just over a lap. 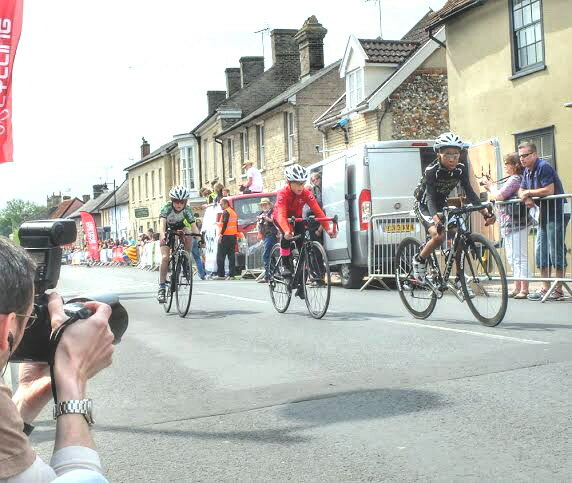 The chasing group though never gave up and on the bell CJ was still at the forefront taking the descent where they managed to stay ahead of the chasers including Oliver Stockwell of Welwyn Wheelers until the climb to the finish where he almost made contact with the quartet. Now in the run up to the Ixworth Criterium CJ took a joint first with Charlie Martin (Barking & Dagenham CC) at the Colchester Rovers Youth GP and 48 hours before the big event, a second to Tom Davies (Welwyn Wheelers) at the Eastern Counties Festival (Hog Hill), where on the final climb he succumbed to the Wheelers attack on the penultimate corner so much to play for. 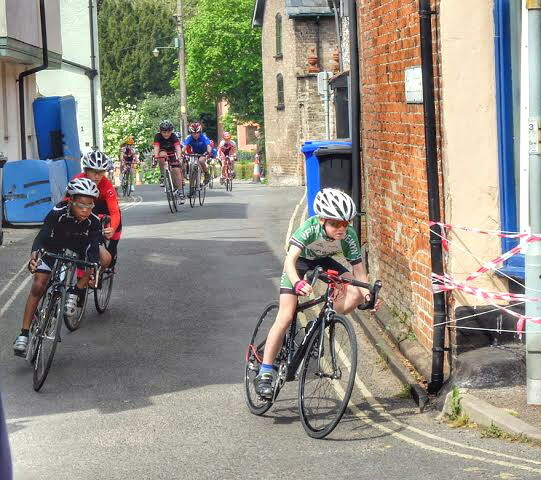 Again the village of Ixworth did the racers proud as they came out to watch one of the best races on the youth calender having a full programme from under 10’s to Elite class, so lots for him to learn just watching the action throughout the day. CJ had a reasonable grid position and knew from the signing on list that his main rivals would again be Charlie Martin and Tom Davies. Now with a field of over thirty riders it was soon apparent that the trio would pull away as after lap one they were sparring in the front and pushing the pace. CJ did a lot of work to keep the second group at bay and Charlie Martin launched some quick attacks to no avail but made great viewing for the spectators. Tom Davies also made some strong moves to make an escape bid but Martin constantly kept the distance in check. 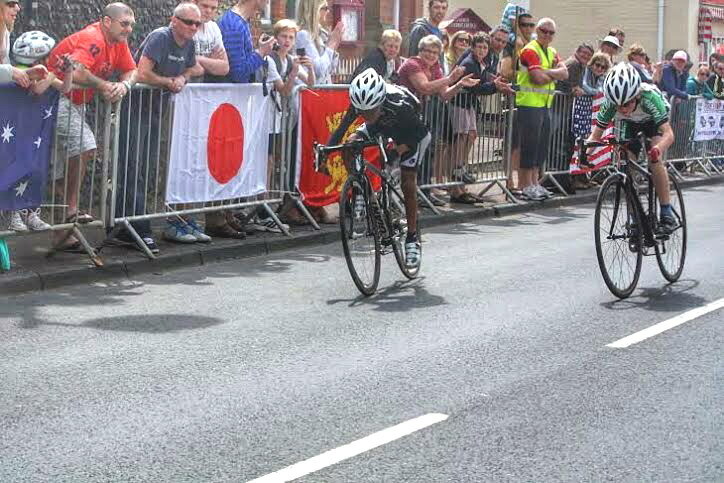 Cat & Mouse was played out for some time until the bell where Martin again attacked and took the lead going up the short climb to the final corner where Davies made his move heading towards the final bend. CJ reacted quickly having to pull a strong move past Martin to get a clear line around the corner to launch a near 60 metre sprint to the line. 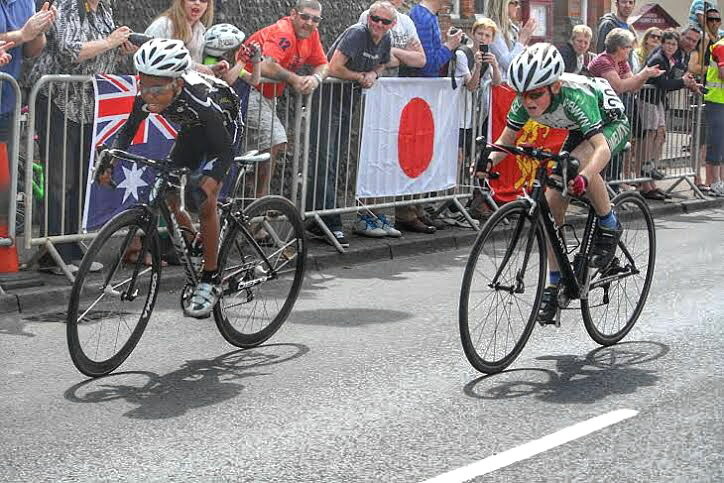 With about about 20 metres to go he had pulled alongside Davies and was now looking to the line which he crossed taking the flag by a bikes length. After a quick warm down lap he was soon interviewed where he stated some of his lines into the corners were not the best to then take receipt of a bouquet of flowers for his awaiting mother. 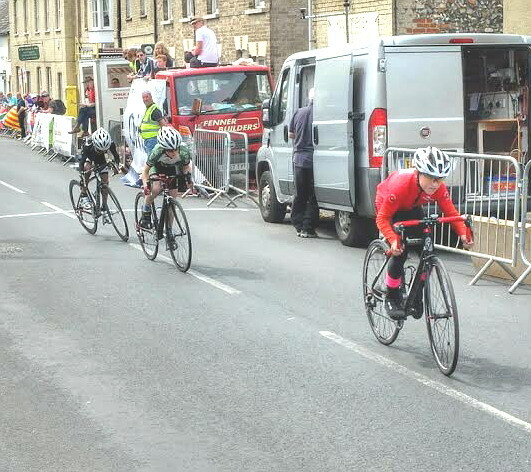 Great racing by the trio putting on a spectacle of youth racing at such a young age for the appreciating crowd and fantastic organisation by the West Suffolk Wheelers CC.